Trump Calls on Senate to Approve Immigration Bill - Integration Through Media ....! 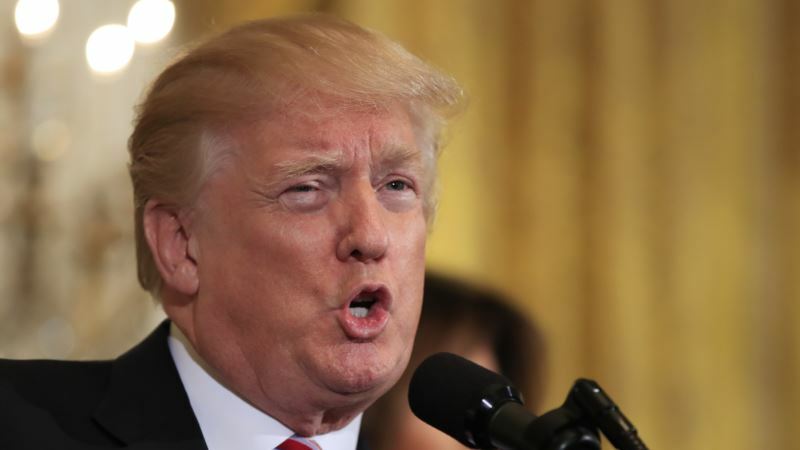 (VOA): U.S. President Donald Trump has called on the Senate to support an immigration bill sponsored by Republican Charles Grassley, saying passage would ratify the "four pillars" of his immigration reform plan. The legislation would consider up to 1.8 million people who arrived in the U.S. as children and remained illegally with a chance for citizenship. The measure would also allocate $25 billion for border security, limit family-based immigration and eliminate the visa lottery in favor of a "merit-based" approach. In a White House statement issued Wednesday, Trump urged senators to reject "any short-term 'band-aid'" solution and enact "responsible and common sense immigration reform that delivers for the American people." The Senate opened debate Monday and voting on proposals could begin Wednesday. Senate Majority Leader, Republican Mitch McConnell, signaled his intention Tuesday to conclude the immigration debate by week's end and accused Democrats of needlessly delaying floor action. Democratic Minority Leader Charles Schumer objected when McConnell moved to begin floor debate on legislation cracking down on so-called "sanctuary cities" — municipalities that do not cooperate with federal authorities in identifying and handing over undocumented immigrants. Hundreds of thousands of young immigrants, sometimes referred to as Dreamers, received temporary permission to work and study in the U.S. under Deferred Action for Childhood Arrivals, former president Barack Obama's program that President Donald Trump rescinded last year. Trump has challenged Congress to pass a law addressing DACA beneficiaries' legal status, reigniting a debate on the Senate floor this week. "The key here is an immigration debate, not a DACA-only debate, not an amnesty-only debate," Grassley said. "An immigration debate has to include a discussion about enforcement measures …how to remove dangerous criminal aliens from our country." Trump set March 5 as the termination date for DACA, after which former beneficiaries would be at risk of deportation unless Congress acts. Any immigration proposal will need the backing of three-fifths of all Senate members to advance, and Democrats argued that only a narrowly-tailored bill focusing on areas of general bipartisan agreement — a DACA fix and boosting border security — can pass.